What hardware is included in your Mac setup? 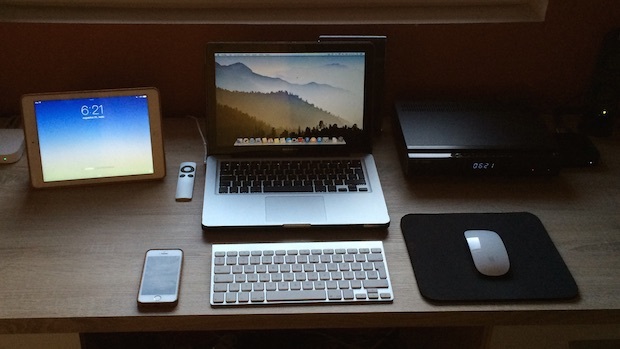 Tell us a bit about yourself, and how you use the Apple gear? I’m a live sound engineer, so I choose a powerful laptop with a SuperDrive, and I also use the iPad and iPhone for my travelling work. I use everything at home, in my office, and on the shows. I’m a huge Apple fan and have used Apple products for my entire life. Do you have any favorite apps or software? I use Apple software too, including the iLife suite, iWork suite, iCloud, and iTunes Match. I’m always sure to update and use the latest software versions for iOS and OS X. 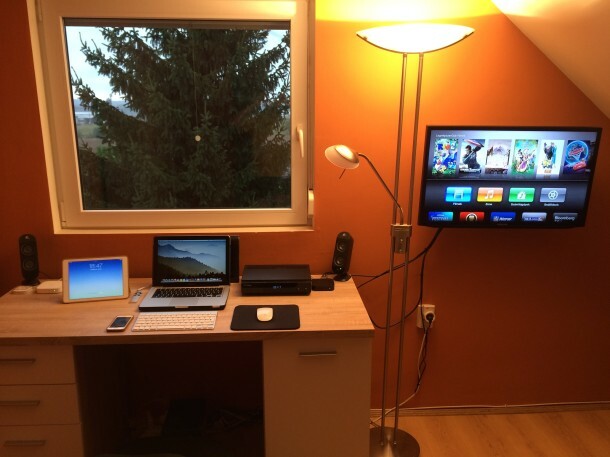 Do you have a Mac setup or Apple workstation that you want to share with OSXDaily and our readers? Go here to get started by answering some questions, taking a couple of good pictures, and sending it on in! Want to just browse through Mac setup posts for now instead? 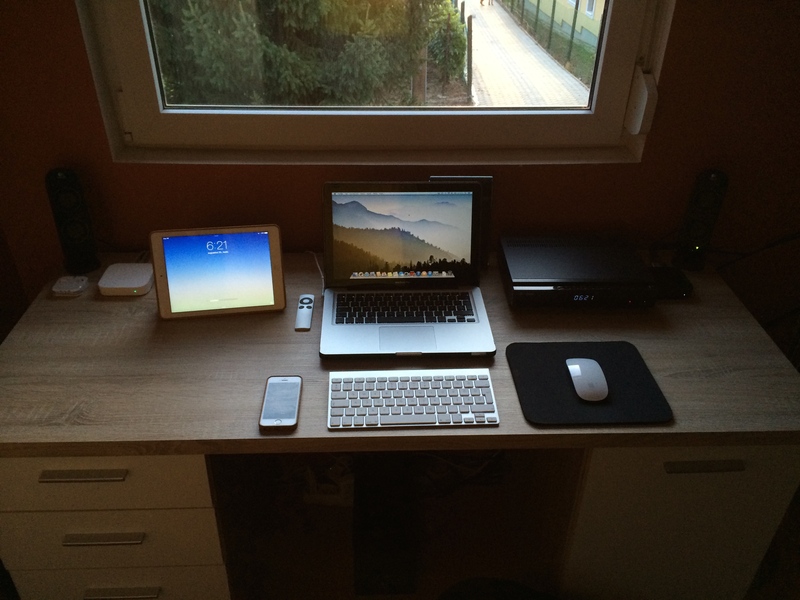 That’s cool too, we’ve got plenty of awesome Apple desks and setups to share with you! He has an insane Wallpaper on his 60″ Desktop! Looks like Nature in real. Awesome!